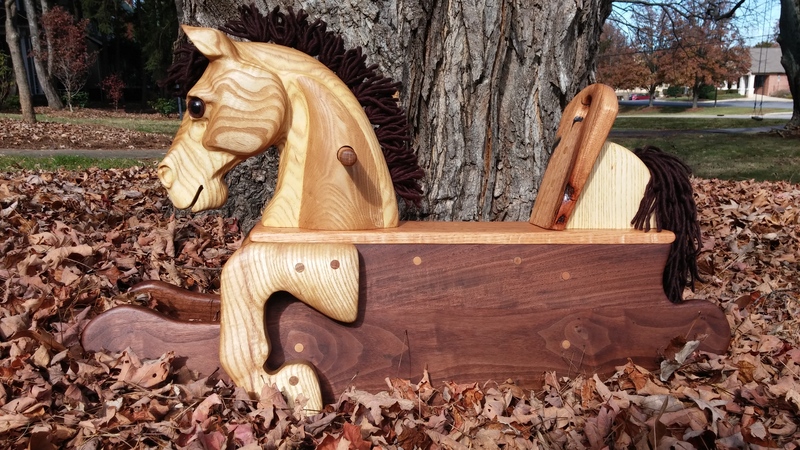 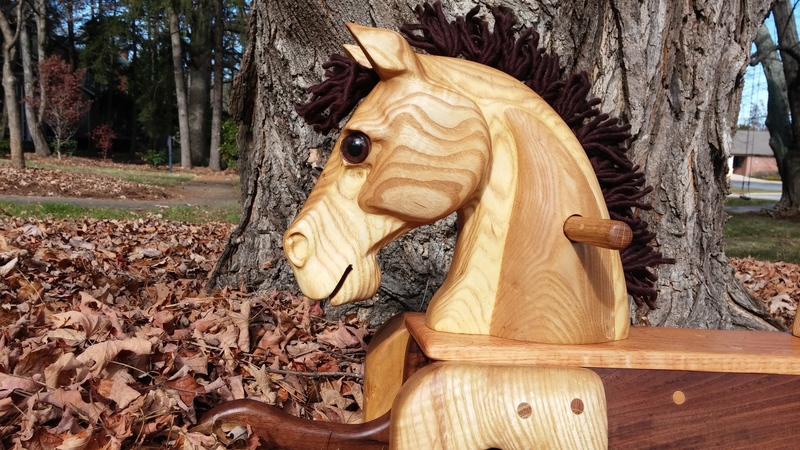 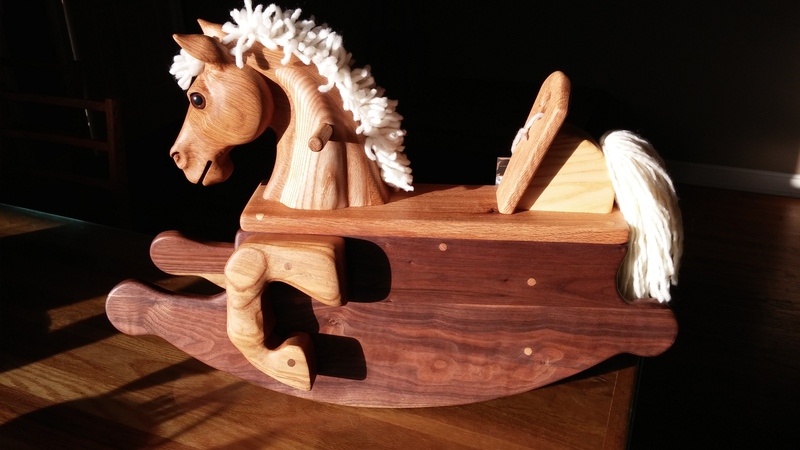 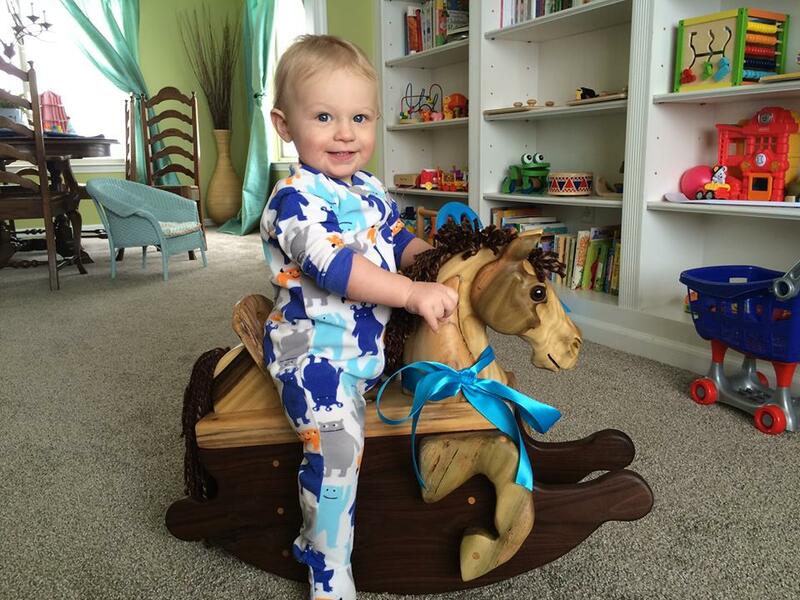 The Toddler horse is the smallest available Heartwood rocker. 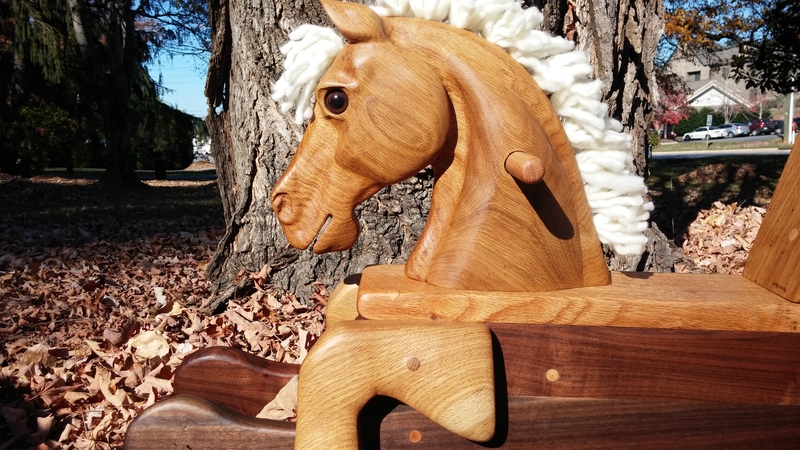 It is sturdy and durable, but also has a carved head and detailed legs for a nice look. 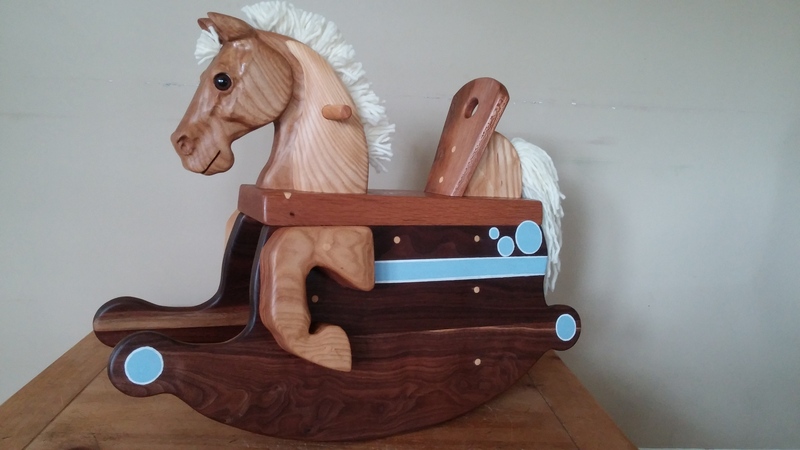 The rockers are made from painted or unpainted walnut. 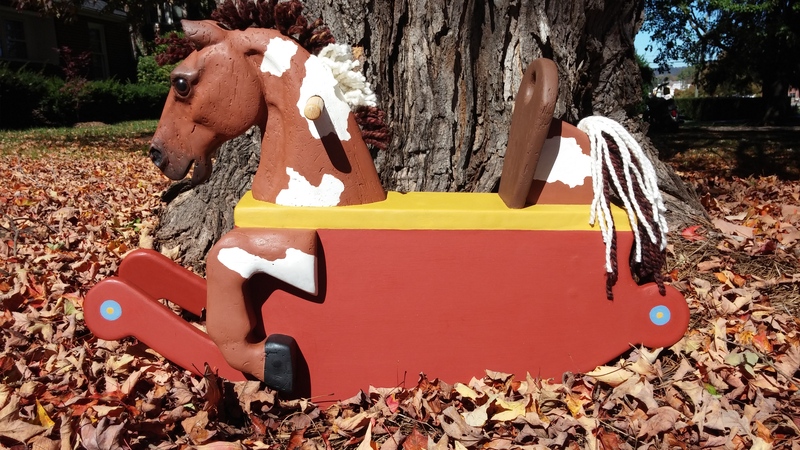 Available in any colors you can imagine! 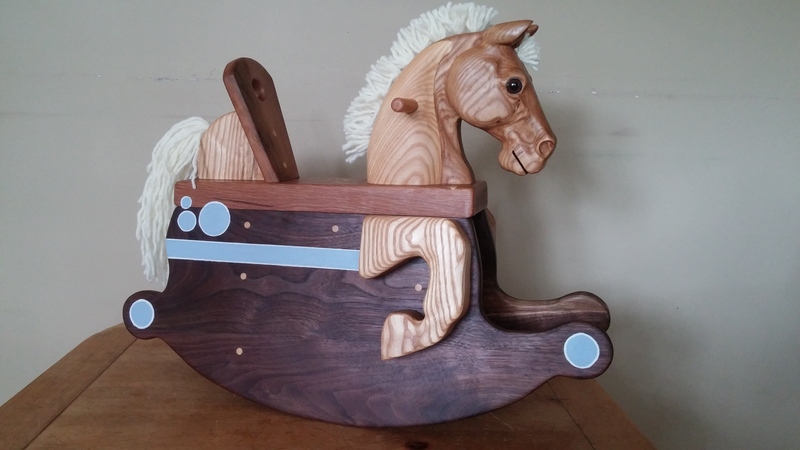 Allow 6 weeks construction and delivery time. 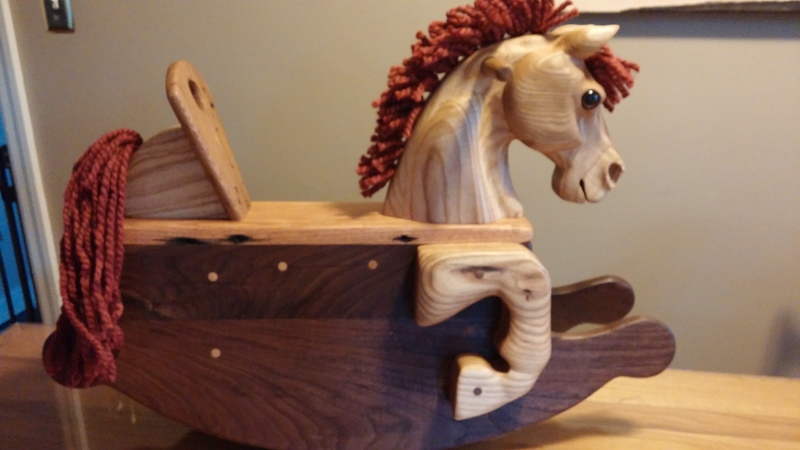 Comes with glass eye and yarn mane and tail.